Oh, this? It's just Deca’s new limited-edition Zillion Dollar Grilled Cheese. No, no, it doesn't cost a zillion dollars, silly, it costs... $100?!?!? 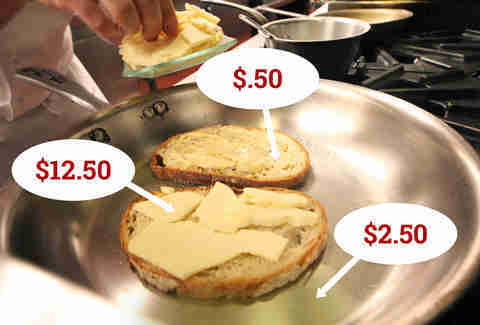 True story, the now-priciest grilled cheese in Chicago (and maybe the Midwest?) 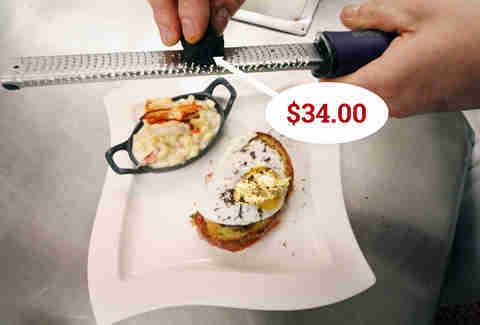 features everything from 24-karat gold flakes to 100yr-aged balsamic vinegar. The sandwich starts with two slices of sourdough bread topped with aged Wisconsin cheddar in a pan of Laudemio Marchesi de’ Frescobaldi olive oil that's $39 per bottle. 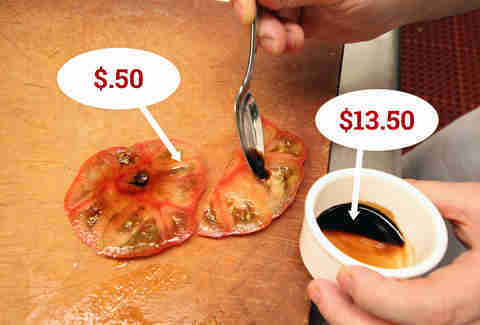 An heirloom tomato is sliced up and covered with 100yr-aged balsamic vinegar that’s $443 per 50ml. So basically, a little bowl of super-old vinegar = XBOX One. Straight from Southern Spain, the black Iberico ham is made from free-roaming, acorn-fed pigs (you thought Kobe cattle had it easy). The meat’s been air-dried for six weeks, cured for a year, and sliced thin onto the grilled cheese. 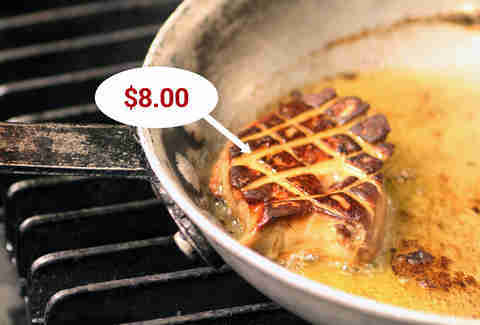 You had to have known that foie gras was going to be on the guest list for this party, especially when it's a $32-per-pound duck liver from Hudson Valley. 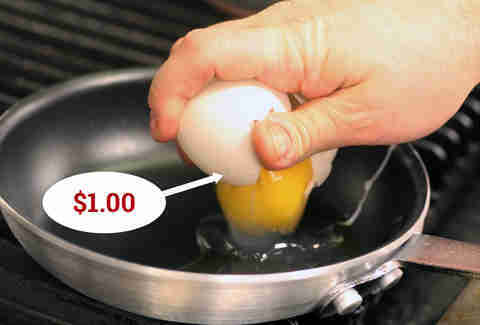 A duck egg is prepared sunny-side-up, giving you duck two ways. 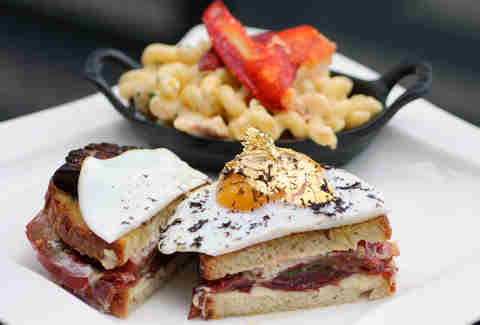 In the past, you had to rely on a steady diet of Goldschläger to get your daily gold intake, but now you can get it on your grilled cheese in the form of edible, 24-karat gold flakes. 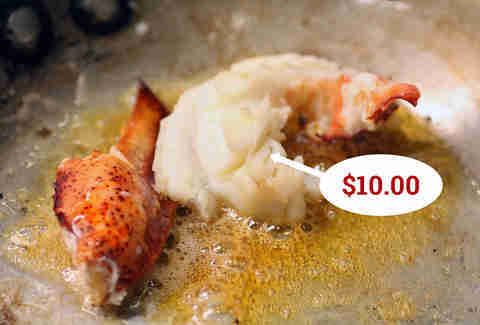 A pound of lobster is added (because, why not?) to a four-cheese sauce for the accompanying side skillet of mac and cheese. 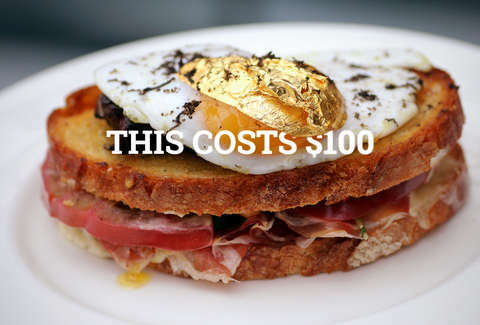 The sandwich is assembled and sprinkled with shavings of Oregon Perigord white truffles that are $50 per-ounce, and also incorporated into the aioli. And there you have it: Warren Buffett's brown bag lunch. The Zillion Dollar Grilled Cheese is available through the rest of April.